Greetings to you on this humpday Wednesday! October and all things Halloween are officially over and part of me wants to be sad. I’m big into Halloween like some but I did enjoy seeing all the fun and creative Halloween manis. 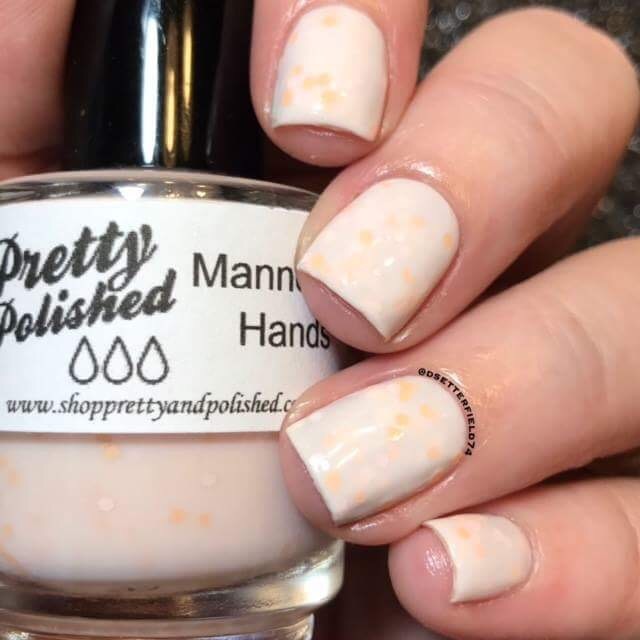 I am excited though about all the new and returning polishes from Pretty & Polished (P&P). Today’s post is slightly different from those I’ve done in the past because it’s not a S&R but instead a Press Release. Just another creative way to bring you information from a favorite here at Queen of Nails 83. I’m excited to share November updates from and I hope you have your notes pads ready because I’ll be giving you all the juicy details on throwbacks, anniversary polish, winter collection AND Black Friday Sales!!! I Got 5 On It is the 5th Anniversary Nail Polish from P&P. Isn’t it breathtaking? “Throw-Back” Shades include Tart, Mannequin Hands, Valentino, and DayTrippin’. 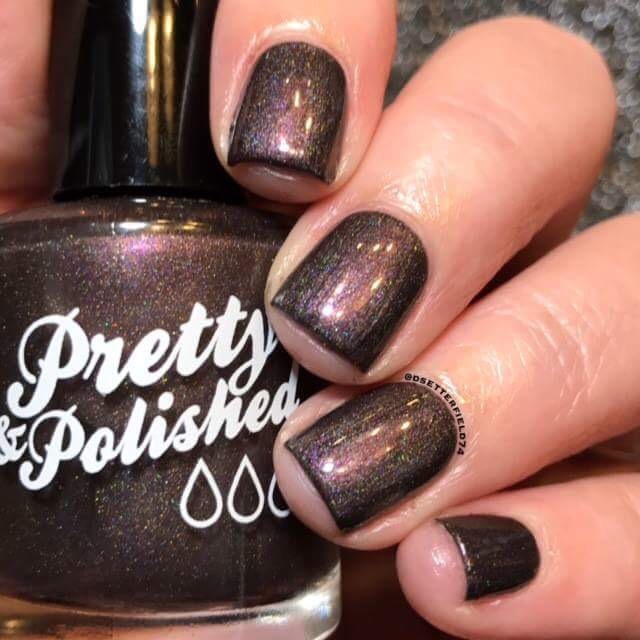 These throw backs are polishes that were available in the beginning of Pretty & Polished. They will be coming in their old bottles with our old labels. The formula has changed and the look of them has been slightly altered, but they stuck with the original design for each polish as much as possible. That will do it for today’s Press Release. Did anything peek your interest? swatches in todays post. Please be sure to go and check out her Blog and follow her on Instagram! I Got 5 On It is a perfect brown! I really like P&P and I love their Black Friday Deals even more!!! 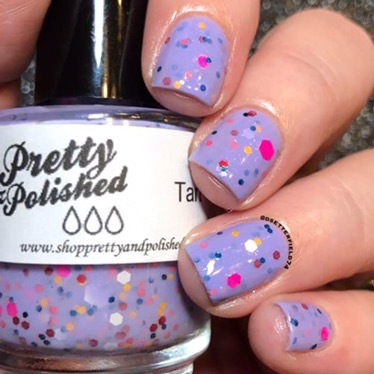 These polishes all look wonderful! It seems like she’s having some great Black Friday deals! All of these are so good! I’m glad she brought them back! Looks like some great deals coming up! I hope I can do some shopping at a deal this year! 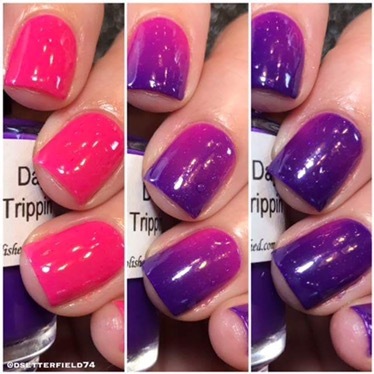 DayTrippin’ looks like a fun thermal! I love that brands are now doing press releases! Yessss I love this collection!